And you’re off and running on the planning portion of your special day. A quick search and you’re probably overwhelmed at the number of choices and venues available. There’s so much to compare, so many unknowns, and you could spend every weekend from now until your wedding checking out all the different choices and still not be any closer to knowing, when it comes down to it, which is the best Oklahoma City wedding venue. You want your wedding to be special, memorable, and everything you dreamed it would be. And your wedding venue is a big piece of that. 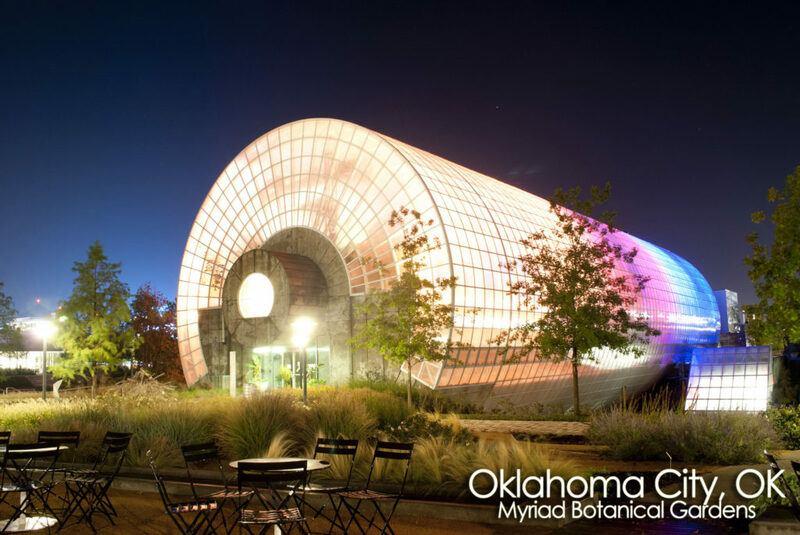 The Myriad Botanical Gardens in OKC boasts not one, not two, not three, but ELEVEN separate venue spaces for weddings. From the Crystal Bridge Tropical Conservatory to the Meinders Garden Terrace, from the Great Lawn & Bandshell to the Water Stage & Plaza, you’ll find a great spot in the conservatory that is not only beautiful, but has the space to accommodate your unique guest list, including space for seated dinners in some of the locations. Another fun way to have a wedding at the Myriad Gardens is by having an impromptu ceremony. These ceremonies are no-muss, no-fuss, no chairs, and no decorations, and have standing room for 20 guests. Ceremonies must be complete in under 30 minutes, and require a permit. It is a beautiful way to have a small, intimate, or even surprise ceremony! Need more information on weddings at Myriad Gardens? The Barn and Estate at Southwind Hills are simply breathtaking. This premiere wedding venue boasts on-site wedding coordinators and generous 12 hours rentals, including Bridal Brunch, “Man-Cave”, and honeymoon cabin to make sure you day is stress free. At this 20,000 square foot venue, “rustic” and “elegant” combine in the perfect storm of wedding wonder. If you like your weddings with a wonderful view and fantastic history, look no further than the Oklahoma History Center, where events are hosted in both the Devon Great Hall, which offers dramatic views of the State Building, and Chesapeake Events Center, featuring unique artwork from the State Capitol. You can also choose from a handful of other event settings, each unique in its features and surroundings. Need more information on weddings at the Oklahoma History Center? 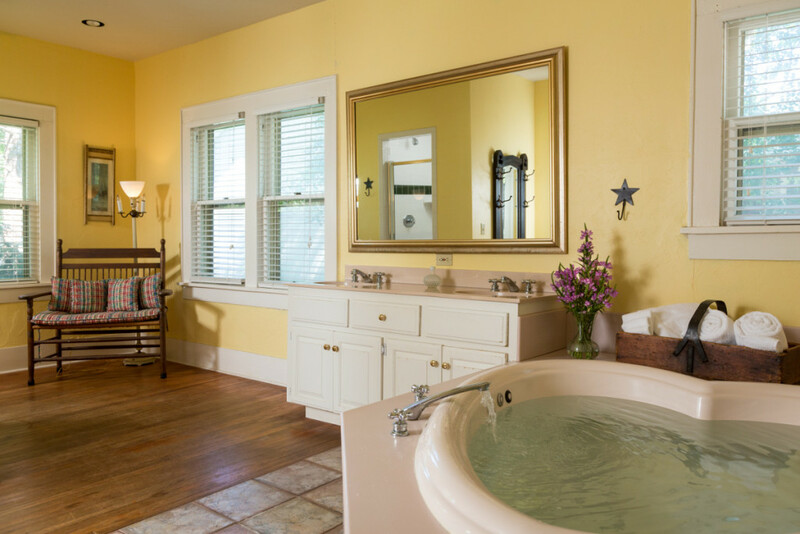 The Montford Inn and Cottages is a uniquely and thoughtfully designed bed and breakfast in Norman OK. Offering 11 privates rooms and 5 private cottages, as well as beautiful gardens and cozy community spaces, the Inn is a wonderful place to host a small intimate wedding. You could choose to host your wedding in one of the gardens, with a cottage as the center point for the event. You could use the beautiful lobby for the ceremony and reception. There are so many wonderful possibilities and we love working with couples to plan their dream event. Need more information on weddings at Montford Inn? We were looking for a venue for our small wedding (15-20 people). We found the Montford Inn online and decided to book the Hidden Hollow Cottage. We loved the idea of having a private cottage with the B&B feel. The staff at the Inn were wonderful and very accommodating to our needs. Our photographer showed up early (before check in time) and they let her into the cottage before we arrived so she was able to test lighting before we even got there. No matter which venue you choose, let the Montford Inn make you and your guests right at home while they celebrate your wedding. Any of the 5 cottages offer a great place for the bride, groom, and bridal party to get ready, take photos, and more. Cottages also offer cozy comfort and beautiful privacy for a bridal night stay or even a honeymoon. All cottages have breakfast brought to them each morning – another great honeymoon perk! For your out of town guests, Montford offers a taste of home with the service and quality our guests have come to expect at Montford Inn. Each morning your guests will be treated to an amazing breakfast. And whether they hang back at the inn or go out exploring, antiquing, or adventuring, homemade cookies, lemonade, and wine await them on their return. We so look forward to working with you as you plan your wedding. Please contact us to help make your intimate wedding dreams a reality. Everyone on staff that we encountered knew we were there for our wedding, whether we had told them or not, and very genuinely gave us congratulations and well wishes. Great staff and very welcoming cottage. I would highly recommend the Montford Inn and Cottages if you are looking for a place to have a small gathering. Photo of Myriad Gardens by Josue Goge.